"Our second quarter sales were above expectations including higher than forecasted EUV sales," said chief executive Peter Wennink, referring to the company's cutting-edge extreme ultraviolet light lithography machines. "After an excellent first half of 2018, we expect the second half to be stronger, with improved profitability and continued growth from Q3 to Q4," Wennink said. 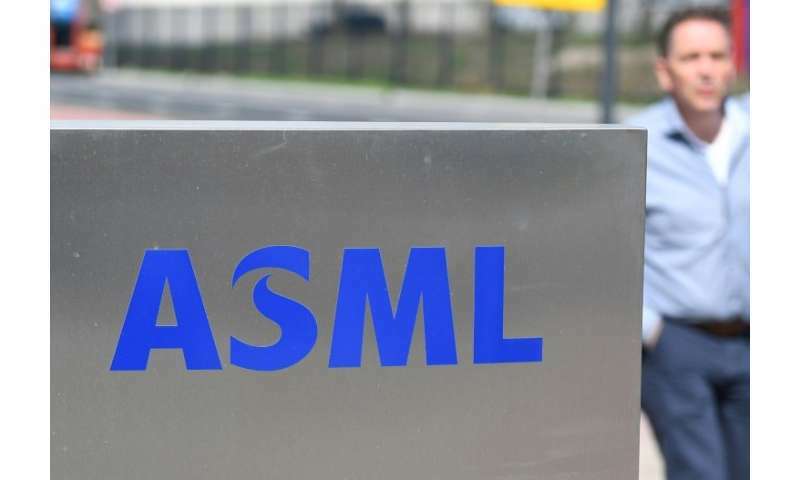 ASML is one of the world's leading makers of lithography systems used by the semiconductor industry to make integrated circuits and microchips. The company is considered a bellwether of the global high-tech industry as it supplies sector giants such as Samsung and Intel. The lithography systems are used to manufacture processor chips, as well as memory chips such as DRAM and SRAM, essential for mobile phones and tablets. A growing part of ASML's success comes from its sales of its unique extreme ultraviolet (EUV) machines which enable companies to produce smaller, more powerful and more rapid microprocessors for the world's computers, phones and hi-tech products.